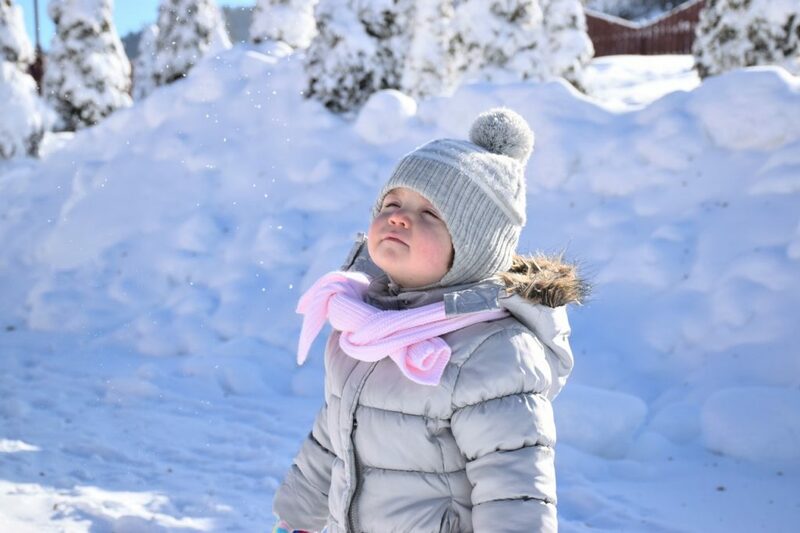 You may be left wondering, “Why won’t my kid wear a coat?” Let’s look at some reasons and suggestions for getting your child to wear a coat this winter. They don’t realize how cold it is. Children’s internal temperatures run higher than adults. Adults’ skin is also thinner than kids’. These factors contribute to why it may not feel as cold to a child compared to an adult (even when it is really cold!). So when your child says he or she doesn’t feel cold, it may not be stretching the truth. Coats can be hefty items to wear! With so much fabric on, your children may feel like they’ve lost range of motion and have a harder time getting around. This can be a frustrating feeling for energetic kids! Appearance is an important factor for children. They want to feel cool and accepted by their peers. It is a running idea among kids that coats aren’t cool. Your children may be avoiding their coats because they are trying to seem cool among kids at school. It is too much work to lug around at school. Speaking of coats being hefty, they can be a pain to store at school. Cubbies are only so big, as are lockers. Maybe your child doesn’t have a cubby or locker, so he or she is stuck carrying around a coat all day, which is an inconvenience. Buy your child a coat he or she feels comfortable in. Since coats can be uncomfortable because of a great amount of fabric, kids try to avoid wearing them. When going shopping for a coat, make sure that your child is able to freely and comfortably move around when wearing it. Find a coat that your child will be excited to wear. Kids want to look cool. Together, find a coat that makes him or her feel this way! By doing this, you child will be excited to wear the coat because he or she feels good and cool in it. Explain the importance of wearing a coat for health reasons. Sometimes kids just need to hear why. Explain to your children that they can get things like frost-bite on their skin that will hurt them in cold weather. If your child is little, you can use animals as an example. Animals wear coats of fur because they get cold, too, and without their coat, they would be very sick. Give your child suggestions as to how to store the coat at school. Come up with a plan for how your child can store his or her coat at school. If using a cubby, suggest your child hang up the coat or fold it into the bottom of the cubby. When using a locker, have a specific spot the coat will go in and put a locker shelve above that area so that the rest of your child’s supplies stay out of the way. Mutually come up with a cut-off temperature. Take a few opportunities to talk to your children about how it feels outside and let them know the corresponding temperature. Using your judgment to guide the conversation, come up with a temperature that dictates when your child will wear a coat. For example, if it is 45 degrees, then anytime the temperature is 45 degrees or below your children will wear their coats. Letting your children have a say in this will motivate them to follow the rule. With these new ideas and reasoning for why you children won’t wear their coats, you can take the tips you think will work best and personalize them to your family. What reasons do your children give when they don’t want to wear their coats? Have you found any solutions? Tags: Getting Your Child to Wear a Coat, Tips for Getting Your Child to Wear a Coat, Wear a Coat, why kids hate to wear coats, Why Kids Refuse to Wear Coats, why won't my kid wear a coat?